Startled Disbelief: Neuroscientist Proves Free Will! 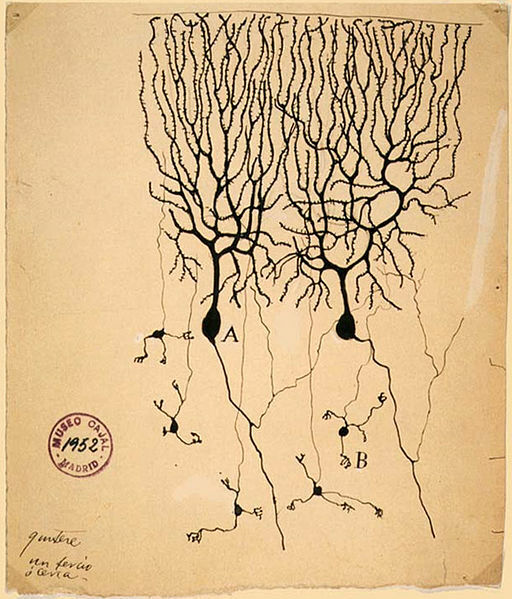 Public domain image of neurons from Wikipedia. 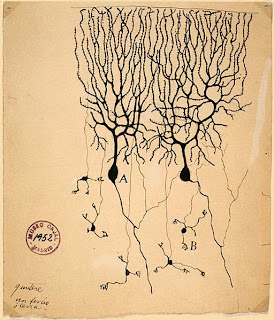 A new theory of brain function by Peter Ulric Tse, a professor of cognitive neuroscience at Dartmouth College, suggests that free will is real and has a biophysical basis in the microscopic workings of our brain cells. Well, I guess that's that. I guess I was wrong. I'm skeptic enough to admit that. Tse's findings, which contradict recent claims by neuroscientists and philosophers that free will is an illusion, have theological, ethical, scientific and legal implications for human behavior, such as whether people are accountable for their decisions and actions. Broad theological implications? You bet! I'm sure his research will be met with sighs of relief from seminary students who are struggling with theodicy. The research sounds interesting, to be honest. It's always nice to nail down neurological specifics, but the way this research is being framed is more than a little disappointing. The article doesn't go into much detail, of course (it basically comes down to "buy the book"*), but none of the findings outlined seem shocking to me, and I doubt that any other determinist would feel differently. In fact, I'm sorely tempted to call out the article for knocking down straw determinists. This gets around the standard argument against free will that is based on the impossibility of self-causation. I have literally never heard any determinist argue that "self-causation" is impossible. Assuming everything that Tse says is correct, it does nothing to change my position on free will, because when you get down to brass tacks our positions seem to be basically identical. My problem with the concept of "free will" as it's expressed in religious contexts is the implication that it is contra-causal. Saying that "free will is real" and that Tse has discovered its "biophysical basis" will just lead to further misunderstandings in the eyes of the public (and will presumably permit Tse to feel smugly superior to philosophers). It seems to me like Tse is trying to puff up his chest a bit and say, "Case closed!" His research seems interesting in that it nails down some specifics of self-causation in a compatibilist (causally-bound "free" will) context, but it does nothing to rescue contra-causal free will (nor do I think it's meant to). My argument basically boils down to this: When you talk about "free will", most lay people are talking about one thing (contra-causal free will), while most philosophers and neuroscientists are talking about another (compatibilist or causally-bound "free" will). As I've argued on several occasions, I think that the former is absurd and runs contrary to the existing evidence (and this new research has nothing much to add here), while the latter is simply a rebranding of soft determinism in an attempt to rescue the language of free will (and has the unfortunate side-effect of permitting us to continue to pretend that people are morally blameworthy on some fundamental level and to deal with others punitively, rather than with compassion). And that's not okay. Discussions of free will are rife with equivocation and confusion is to some extent inevitable. I'm happy to have a discussion on the extent to which the language of free will is useful (and in this matter, as in the matter of the Oxford comma, I do not shrink from staking out a clear position) but I wish that others would be more careful in properly defining their terms. Saying what amounts to "Those silly philosophers can't out-logic my hard data!" when you haven't done much to address the points they've actually made is unhelpful at best. In summary, it seems to me that contra-causal free will remains unsupported by the evidence, that compatibilist or causally-bound conceptions of free will are problematic, and that the Oxford comma generally serves to increase the clarity of complex sentences. Hat tip to Gary Barbon for the link. * And no, I haven't read his book, so I cannot fully evaluate every argument that he makes therein. Feel free to sneeringly point this out to your heart's content. That's what the comments section is for, after all.